When it comes to rejuvenating your garden’s soil and health, it’s hard to beat the power of a Fall garden cover crop! So what exactly is a garden cover crop? It is the planting of a grain or legume crop for the sole benefit of giving back nutrients to the soil. Cover crop choices such as clover, winter (cereal) rye and buckwheat actually give back nutrients to the soil as they grow. In place of harvesting, a cover crop is either turned back into the soil (for traditional plowed or tilled gardens), or allowed to die off and then planted through in no-till gardens. Either way, the benefits of a fall garden cover crop are amazing! Here is a quick look at just how many ways a cover crop can help power your garden to new heights. 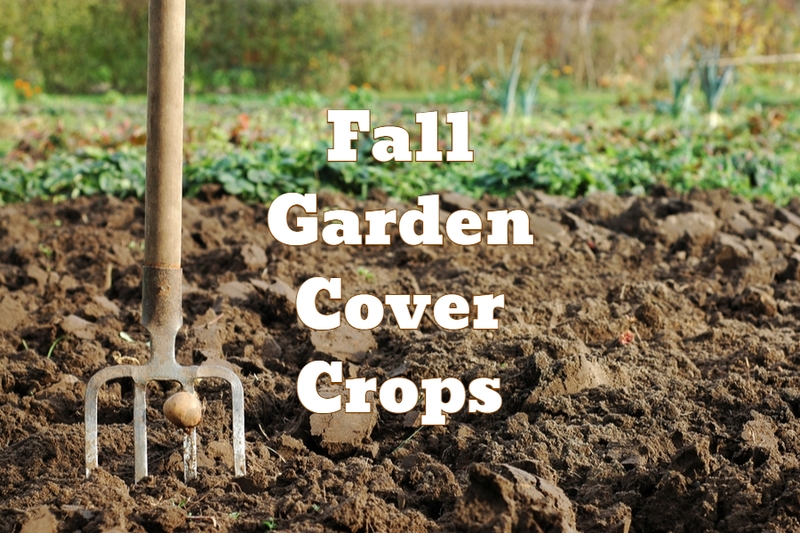 A Fall garden cover crop is one of the best ways to protect soil from the harshness of winter. Rain, snow and wind can play havoc with an unprotected garden. It can erode away the top layer of soil, leaving your garden less productive year after year. But a cover crop blankets the garden in a lush, protective coat of growth. It holds soil in place, and keeps winters fury at bay. Bare soil is an open invitation for weeds and erosion. While a cover crop is protecting the garden from erosion, it’s also protecting it from weeds. Bare soil is an open invitation for blowing weed seeds to find a home in the garden. But the thick coat of a cover crop keeps these unwanted seeds out. That means less weeds to deal with for next year’s garden season! The root system of a cover crop grows deep into the soil below. As they grow, they help break up and loosen the soil structure below ground. This, in turn, makes it far easier for next year’s vegetable crops to grow and expand. And a healthy root structure means a healthy vegetable plant. Nitrogen is critical for the growth of garden vegetables such as tomatoes, peppers and corn. Without it, vegetable plants simply can’t grow and produce. Unfortunately, soil can’t regenerate Nitrogen on its own. But a cover crop can! As cover crops like winter rye or clover grow, their root systems work to fix and rebuild nitrogen levels in the soil. They can be a critical part of keeping your soil recharged year after year. Winter rye sprouting up in the fall to cover the garden. Maybe the biggest benefit of all from planting a cover crop is the sheer volume of organic material it adds to a garden. As a cover crop breaks down, the material is absorbed into the soil. This not only adds valuable minerals and nutrients to the soil, but also improves the overall soil structure. One thing is for sure, a cover crop can be a great way to keep your garden healthy year after year! For more great articles on building soil health in the garden, check out our Composting category. November 28, 2018 TIMG Comments Off on Christmas Magic – A Visit To Fleming’s Christmas Tree Farm! November 24, 2018 TIMG Comments Off on Wintertime Vegetable Garden Planning – How To Plan For Success Now!